Taipei, Taiwan, October 6, 2005 – Info-Tek Corporation, the major supplier of the world’s leading graphics card brand GECUBE™, has announced the new release of the GECUBE™ Radeon® X1800 graphics card. 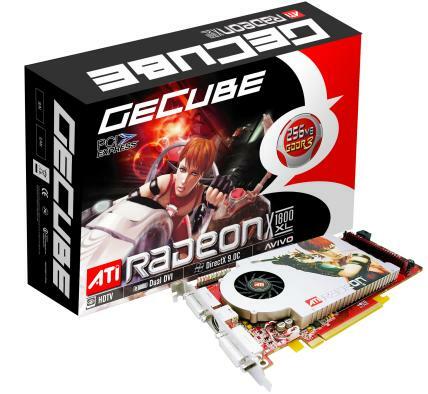 Utilizing ATI’s newest R520 architecture, the GECUBE™ Radeon® X1800XT graphics card propels the gaming industry into another visual dimension featuring a 625HMz core clock speed yielding 1.5GHz memory clock speed and on-board 512MB GDDR3 memory. Both the GECUBE RADEON X1300 and GECUBE RADEON X1600 will be released simultaneously with the world’s most powerful graphics card, the Radeon X1800. The highly anticipated release of GECUBE Radeon® X1800 with ATI CrossFire™ Platform and Multi-VPU Technology support, will introduce cutting-edge technology plus an entirely new 512MB memory platform to unlock the potential of 3D gaming. The powerful 512MB GDDR3 memory of the RADEON X1800 lets users experience unparalleled game elements and intensely-realistic colors at higher resolutions like 1920×1440 and 2048×1536. The doubling of memory also enhances visual quality and fastens up responsiveness without affecting performance. The GECUBE Radeon® X1800 512MB memory also affects game developers, whom may now set the bar for visual performance higher than before for next-generation games currently in production. Memory-intensive processes such as storing high definition textures, concurrent access to multiple high definition source maps, and techniques for multiple rendering targets will now be obsolete. Marking a momentum shift in the gaming industry, 512MB memory will now allow developers to concentrate on other gaming facets and worry less about memory usage. World’s Most Advanced 3D Technology: Enjoy smooth shader-rich gaming with the most advanced 3D arsenal including: a 90-nanometer GPU, an ultra-threaded core 3D architecture, and 512-bit ring-bus memory controller. Avivo™ from ATI Technologies Inc.: Avivo includes hardware and software technologies that refine video capture and playback, and greatly improve display quality such as 64 times the number of colors currently available in current PCs backed by unprecedented 10-bit processing via Avivo’s display engine. 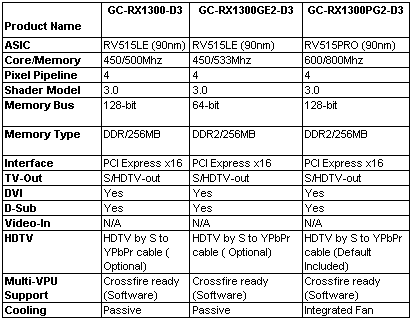 CrossFire™ Platform support: CrossFire employs multiple Radeon® visual processing units (VPUs) working together in your PC. In other words, you may combine Radeon graphics cards on one motherboard to speed up your gaming prowess with „supertiling,“ a high-performance GPU sharing that evenly divides the processing and graphics rendering workload between the dual graphics cards. 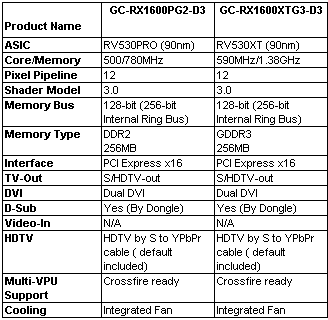 Dual DVI: The GECUBE RADEON X1800 graphics card supports 16 pixel shader pipelines and 6 vertex engines for extreme 3D image processing that provide a smooth and refined image display and enhanced color saturation. 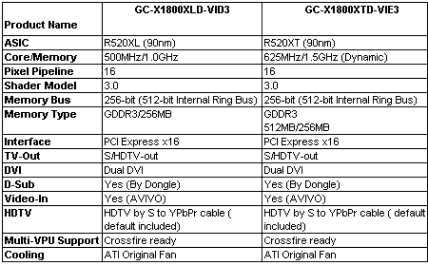 The RADEON X1800 also supports dual DVI for a more detailed picture quality and enhanced functions. Shader Model 3.0 Support: Brand new pixel and vertex shaders are grouped together to create realistic lighting and shading for 3D gaming in order to enhance gaming backgrounds and portray convincing gaming situations. Exciting GECUBE™ Radeon X1800 Crazy Slots Game is ready to begin! From October 7th to November 11th, simply play our Radeon X1800 Crazy Slots Game and hit the number 1800 to enter a drawing to win your own GECUBE Radeon X1800 graphics card, the best performing card this side of the solar system! Get ready to hit the jackpot!